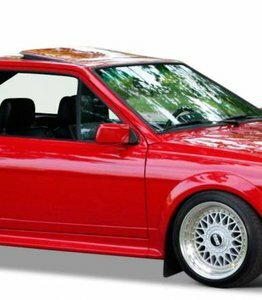 The windscreen replacement of your VW Scirocco? No problem! The VW Scirocco is a popular sports coupé of the German Volkswagen brand. From the first generation of this popular car appeared a large number of different types. Well known are the GTi and GT versions, but what about the GLI, the MS, the TS and the TL? The unique 'Storm' version was also launched for the English market. Have you also chosen to buy the VW Scirocco, but were you confronted with, for example, rubble damage during one of the trips on the road? Are you now looking for a windscreen replacement for your VW Scirocco without having to take into account the sky-high costs? In that case, the solution we have in store for you is definitely worth discovering! in Osnabrück. This means that the car was not made in a real Volkswagen factory. The first generation of this type of Volkswagen appeared on the market in 1974. Eight years later, in 1982 the second generation appeared, which was available until 1992. A third generation of this type was released in 2008 as a hatchback. There may be various types of damage to the VW Scirocco windscreen. The nature of the damage always depends on the situation it causes. An accident can, for example, cause you to have to deal with a completely shattered car window. Is there a bird or a swan flying at high speed against your windscreen? This can lead to a major crack. In both of the above cases, replacing your windscreen is, in principle, the only way to solve the damage. However, the windscreen replacement of your VW Scirocco is not always a requirement. Is there, for example, an asterisk in the windscreen of your Volkswagen? In that case it can be repaired much more easily. Another nice fact is that the VW Scirocco I had the same base plate as several other Volkswagens. The bottom plate was the same as that of the VW Golf I and the VW Jetta. This makes it immediately clear to many connoisseurs that the first Scirocco was built on platform A1. It was also a front-wheel drive version with a four-cylinder engine on board. The cylinder capacity can vary from 1.1 to 1.6 litres. The latter was only available in the Gti version. It is not always mandatory to replace the windscreen of the VW Scirocco in case of damage, but in some cases it is, as soon as the damage to your windscreen is in the driver's field of view, you will be able to see that it can hinder you while driving. Moreover, a single reflection, especially of a headlight or the sun, is enough to dazzle you for a moment. In this way, very dangerous situations can arise and you will have to fear disapproval of the APK. Having the damage to your VW Scirocco windscreen repaired in good time is therefore an absolute necessity. A damaged windscreen replacement of your VW Scirocco does not need to be outsourced by anyone. We regularly receive questions from, for example, garage owners and hobbyists whether they can simply order a loose, cheap after market car window from us. This is a logical question, as it is not possible for many of our competitors to do so. Fortunately, this is no problem at all for us. 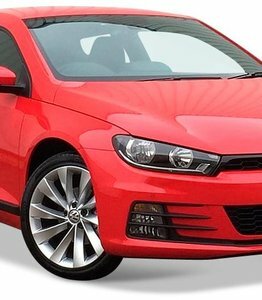 This way you are not only assured of the best price for a VW Scirocco windscreen, but you also do not have to take into account additional labour costs. Would you like to replace your window yourself, but are you still looking for a company that can supply you with a competitively priced and high quality car window? We will also be happy to help you! Whatever type of car insurance you choose for your VW Scirocco, you will always have to take into account a certain deductible. This is annoying, because it ensures that you will still have to pay costs out of your own pocket. Our certified partners can help you with this. Choosing to outsource the windscreen replacement of your VW Scirocco to these experts means that you will receive a discount on your deductible up to 150 euros!